VC197 Material: Gold Plated Brass Size: Cup dia. 4-1/2" x 10-1/4"H, Base dia. 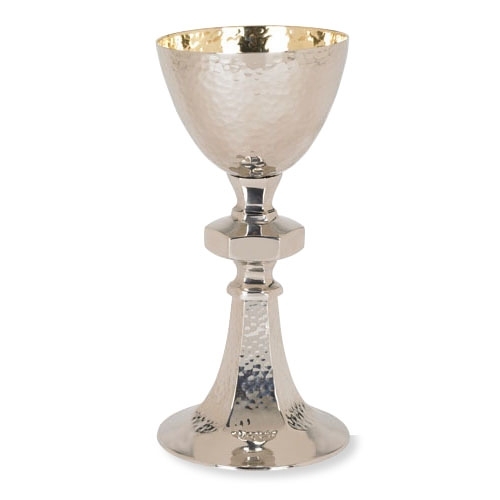 4-3/4", 18 oz., 5-1/2" Dia Paten Availability: In Stock ​Gold-plated Chalices and Ciboria should be cleaned carefully using only mild dish soap in warm water and a soft cloth. Be sure to rinse the items well after washing. 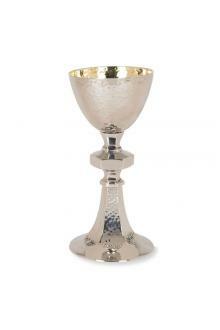 Once carefully washed and rinsed, the chalice or ciborium should be thoroughly dried using soft cloths.